You get in a car accident. Being a sophisticated person, you know there is a statute of limitations in Maryland prescribing a time limit for bringing car accident claims. That Google research yields the same answer over and over: three years. You relax. And then a year later you call a lawyer to make a claim. You learn that another form of the statute of limitations' has passed and you no longer have a claim. Our lawyers have seen this scenario unfold many times. Not just with injury victims. A leading cause of legal malpractice cases is missing the need for notice requirements that are often hard to anticipate in car accident cases because you do not always know the defendant was driving in the scope of their government employment. The Maryland Local Government Tort Claims Act (“LGTCA”) provides that an action for unliquidated damages may not be brought against a local government or its employees unless the notice of the claim required by this section is given within one year after the injury. The notice required must be in writing and must “state the time, place, and cause of the injury. In theory, the notice requirement exists to provide a warning of a potential claim against a local government at a time when it can conduct an investigation while the evidence and the recollection of the witnesses are still fresh. But the real intent is to make it harder for victims to bring claims against local government entities. There is no question that it works. Many meritorious claims have been barred because the victims or their lawyers did not know to give notice to the local government defendant. So for both the Maryland Local Government Tort Claims Act or the Maryland Tort Claims Act, you required to provide the correct defendant specified notice of the claim if the defendant is either a local government or someone acting as an agent or servant of a local government. The Maryland Local Government Tort Claims Act (LGTCA) defines "local governments" in broad terms to include counties, municipalities and miscellaneous governmental entities such as public libraries, community colleges, and other things you might not naturally assume are governmental entities. Then there is the problem of figuring out just who you notify and how you notify them. The answers are often counterintuitive. County sheriffs? They sound like local government, don't they? But they are state officials. Accordingly, proper notice must be given to the state. Likewise, the Baltimore Police Department is a state agency. But its employees are covered under the LGTCA. Another good thing to remember is that compliance with the LGTCA is a condition precedent to bringing a lawsuit. This means that it is a substantive part of the claim and you need to allege compliance with the notice requirement in the complaint. Adding to the confusion, the law changes frequently. 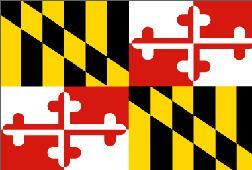 The Maryland General Assembly has modified the MTCA or the LGTCA in nearly every year since 1981. Which is a good segue to point out that you should not rely on any information contained on this website about the rules governing claims against state and local governments in Maryland. If you have a claim or you are a Maryland lawyer not well versed in the nuances of these statutes, you really need to speak to an experienced counsel as soon as possible. The Maryland Tort Claim Act sometimes applies to cases against seemingly local government officials. LGTCA Damage Cap In 2015, Maryland doubled the limits that tort victims can recover for claims arising on or before October 1, 2015, to $400,000 per claimant/$800,000 per accident. This is still ridiculously low and far below Maryland usual cap on pain and suffering damages. How do you explain to someone that their spouse or child is only worth $400,000? But getting the cap doubled was hard fought in Annapolis and is at least some progress. (a) This section does not apply to an action against a nonprofit corporation described in § 5-301(d)(23), (24), (25), (26), (28), or (29) of this subtitle or its employees. (b)(1) Except as provided in subsections (a) and (d) of this section, an action for unliquidated damages may not be brought against a local government or its employees unless the notice of the claim required by this section is given within 1 year after the injury. (2) The notice shall be in writing and shall state the time, place, and cause of the injury. (c)(1) The notice required under this section shall be given in person or by certified mail, return receipt requested, bearing a postmark from the United States Postal Service, by the claimant or the representative of the claimant. (2) Except as otherwise provided, if the defendant local government is a county, the notice required under this section shall be given to the county commissioners or county council of the defendant local government. (iii) Anne Arundel County, Baltimore County, Frederick County, Harford County, or Prince George's County, the notice shall be given to the county solicitor or county attorney. (4) For any other local government, the notice shall be given to the corporate authorities of the defendant local government. (d) Notwithstanding the other provisions of this section, unless the defendant can affirmatively show that its defense has been prejudiced by lack of required notice, upon motion and for good cause shown the court may entertain the suit even though the required notice was not given. (2) The defect or circumstances giving rise to the claimant's injury. We bolded the new language added in 2016 which takes much of the edge of the statute. Still, we do not know how liberally the Maryland appellate courts are going to construe this "active or constructive notice" language. If you have been hurt by the negligence of someone else and you have a question about your claim, call us at 800-553-8082 or click here for a free consultation.